A historic alliance is shaking up the Mayoral race in Boston. general election. 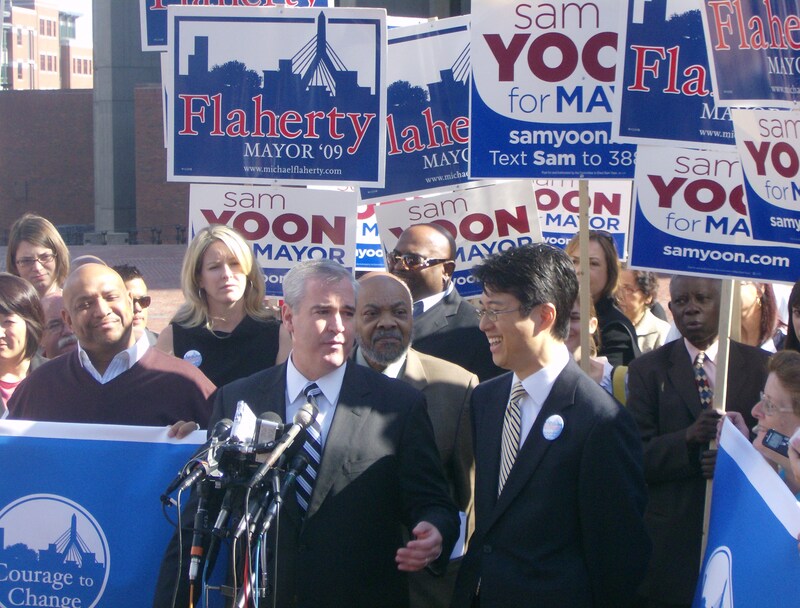 Yoon will be running as Flaherty’s Deputy Mayor. since Mayor Kevin H. White left office. political team. “It’s two against one now,” said Yoon. Flaherty stressed the need for change in leadership in City Hall. Flaherty also pledged he would only serve two terms if he is elected. Whether it’s a gimmick or not, it certainly changes the race. Flaherty and Yoon both are prepared for a fight to the finish. Photo credit: Scott Jackson, WEBN News.